NOTE: John Taylor was successful in his lawsuit. The court struck down the regulations as being illegal; however, on December 12, 2017, the National Defense Authorization Act of 2017 was passed saying, “(d) Restoration Of Rules For Registration And Marking Of Unmanned Aircraft.—The rules adopted by the Administrator of the Federal Aviation Administration in the matter of registration and marking requirements for small unmanned aircraft (FAA-2015-7396; published on December 16, 2015) that were vacated by the United States Court of Appeals for the District of Columbia Circuit in Taylor v. Huerta (No. 15-1495; decided on May 19, 2017) shall be restored to effect on the date of enactment of this Act.” The registration rules are currently back in force. Until the registration regulations are challenged and struck down again, you should abide by them. The DOT’s Announcement Can Be Viewed Here. The FAA’s request for comments is here. The underlying FAA report of drone sightings is located here. The Academy of Model Aeronautics responded to the report with an analysis located here. Second Update: An individual took the time and responded to this post. I posted my reply at the bottom. Oklahoma City is where aircraft registration gets processed. The aircraft registration process still involves carbon copy forms, which must be filled out perfectly and sent in for an aircraft to be registered. They are extremely, I mean extremely, picky on registration based upon my experience. (If you need help with registration, contact me.) If the paperwork is completed correctly, they will send you back an “N” registration which is required to be displayed on the aircraft. The reason for the “N” is the aircraft is tied to the country it operates in. (Think of license plates where the state is listed on the plate.) N = United States, C or CF = Canada, XA, XB, or XC = Mexico, B= China, JA= Japan, SU= Egypt, etc. The complete list is here at 4-1-1. So N12345 is a U.S. registered aircraft while XA12345 is a Mexican registered aircraft. Commercial drone operators are required to obtain a 333 exemption or fly under Part 107. 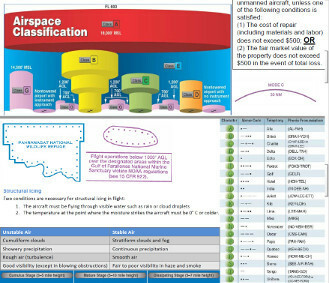 The exemptions being given out say, “All aircraft operated in accordance with this exemption must be identified by serial number, registered in accordance with 14 CFR part 47, and have identification (N−Number) markings in accordance with 14 CFR part 45, Subpart C. Markings must be as large as practicable.” This is in addition to the manned aircraft which are registering with the FAA. This is currently ONLY for commercial drones while recreational drones are not required to register their drones. Just today NBC announced, “The federal government will announce a new plan requiring anyone buying a drone to register the device with the U.S. Department of Transportation[. ]” Just FYI, the DOT supervises the FAA which explains why they are involved. The clear trajectory of all this is that commercial drone aircraft will be required to be registered and possibly also recreational aircraft. This presents interesting problems so let’s dive into the facts. On top of the drone sales, manned aircraft have been sold and already use some of the N numbers. For 2012, it was estimated that there were 209,034 aircraft in general aviation. The Proposed Laws and Regulations Intersecting with the Forecasted Sales. Let’s get into the math. Let’s assume that all drones have to be registered. How many different combinations are possible? And we remember the rule that a letter can not precede a number. Adding up all possibilities gives 915,399 total possible registration numbers. The reason for the 34 is 10 numbers + 25 letters. The letters I and O cannot be used because they can be confused with the numbers 1 and 0. Further compounding this problem is “A Certificate of Aircraft Registration issued under this paragraph expires three years after the last day of the month in which it is issued.” 14 CFR 47.40(a)(3). Moreover, it is easier to register a drone than transfer registration. If you crash the drone, you’ll have crazy headaches trying to transfer registration of the N-number to the new drone as opposed to just registering a new N number. Problem 1 with Drone Registration – Not Enough N Numbers. At this pace, we are going to run out of N numbers in the future. Open up the first 3 spaces to allow also the use of letters. (The FAA must go through the rule making process for this but it is unclear how this would work with the FMRA). Make the N number registration transfer easy so people just don’t keep registering drones. (This can be solved by some type of internet portal as opposed to the difficult paper process now. Problem 2 – What happens when the person does NOT want to fly anymore? So the citizen has to register his drone. The drone registration last for 3 years under the current regulations. Are you going to force people to re-register their drones? Must they always have the drone registered? I can see a large group of people just letting the registration lapse and then selling their drones off on Amazon, Ebay, Craiglist, flea markets, and garage sales. Are the sellers required to keep paperwork of who they sold the drone to? Problem 3- What in the world does the FAA and/or DOT even regulate? This problem is exactly like gun registration. The lower receiver is what is considered the “gun” and that is what is regulated federally. All the other gun parts you can buy and sell without registration. What is going to be considered the “aircraft” for purposes of drones? The batteries, the motors, the transmitter, the flight controller? Is it only a whole aircraft? Are drone kits regulated or just fully assembled drones? 14 C.F.R 1.1 says, “Aircraft means a device that is used or intended to be used for flight in the air.” To be logically consistent, only a WHOLE or COMPLETE aircraft can meet this criteria. Problem 4 – What even is a drone for purposes of registration? My Cheerson CX-10 can fit in my hand. Are we going to regulate all nanodrones? The paper airplane drone? Is there a weight or operational cutoff? Problem 5- How are you going to identify the aircraft after the incident/crime/accident? A drone sucked in a jet engine is going to be all over the place. Are you going to require metal placards attached to the drone? Furthermore, it is easy to scratch off a serial number. Is possession of a drone with a scratched off serial number going to become illegal? Problem 6 – How in the world is drone registration going to STOP, actually prevent, the incident/ crime/ accident? The two main groups that are causing problems are the (1) “how high can it fly” group and the (2) “I will fly wherever I want” group. Both of these groups can be countered with geo-fencing far better than registration. Registration points you to who might have caused the incident, geo-fencing can help prevent it. 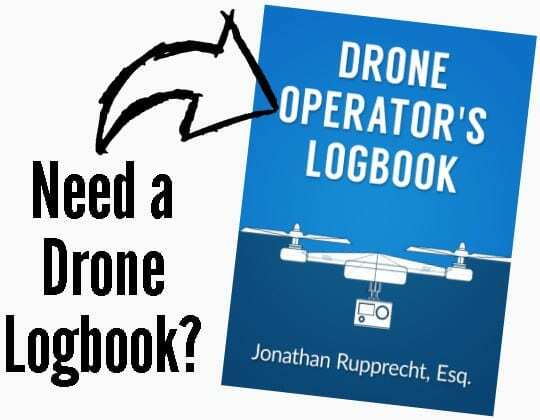 Problem 7– How does the DOT or FAA have any authority or congressionally given jurisdiction to require drones to be registered which are on the ground, not being flown, with the drone being turned off, in a box, and inside a building? Buying a drone from a store is NOT operating a drone. Once the drone leaves the ground outside, then the FAA can argue jurisdiction. Problem 8 – Where is the $$$$? Who is paying for this? Is this even in the budget of the FAA and DOT? The FAA is currently having to hire more contractors to pick up the slack in the rulemaking department, DOT docket office, and in the ATO with COA processing. Is Oklahoma City going to be responsible for this? Problem 9 – How in the world does this work with the Section 336 of the FMRA? (2) flown within visual line of sight of the person operating the aircraft; and (3) flown for hobby or recreational purposes. Congress passed this to protect recreational flyers. What the FAA is now doing is not “promulgating” any new regulations but merely repurposing the existing “locked in time because of the FMRA” regulations to try and get jurisdiction over drones. This is evidenced in the latest $1.9 million fine against Skypan where the FAA cited multiple violations of regulations other than the 91.13 careless and reckless prohibition. If the regulations cited above in Problem 7 cannot cover drones being sold in a store because they are not “operating,” the FMRA essentially just locked the FAA out from creating any new regulations. 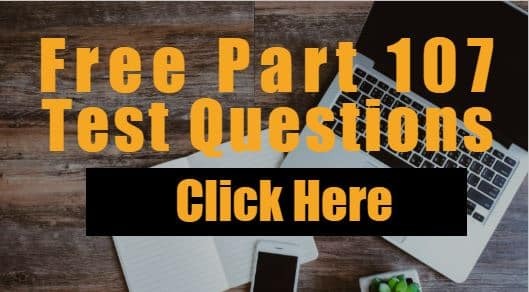 Problem 10 – How in the world is this a rule and how is it going to get done by Christmas? The announcement said they were going to try and roll this out by Christmas. How? Is this non-binding guidance or law? If it is law, then it is required to follow the rulemaking process. The overall idea is that the rulemaking process goes through notice and comment and then publication. The FAA started the rulemaking process in 2009 with the commercial drone rules and they only finally published them in February. That is 6 years! The only way the FAA could do it is through an emergency rulemaking process. This can only happen if there is a direct emergency rule that is published. (I wrote the chapter on the FAA rulemaking process for the American Bar Association book.) I’m just going to start quoting parts of it for your enjoyment. The normal approach to rulemaking is notice, comment, and then publishing the rule. Publishing a direct final rule which skips the notice step appears to violate the APA; however, the APA allows the FAA to issue a direct final rule without any notice when the FAA has good cause. Good cause is when the rulemaking process is “impracticable, unnecessary, or contrary to the public interest.” The FAA issues final rules in these three good cause situations. Generally, a direct final rule will take effect 60 days after publication in the Federal Register, unless the FAA receives an adverse comment which is a comment showing the rule is inappropriate, ineffective, or unacceptable. If an adverse comment is received, the FAA may withdraw the direct final rule and publish another direct final rule incorporating the comment or publishing a NPRM. Problem 11 – Mandatory registration does not help identify drones being seen by pilots but only if there is a crash. Manned aircraft N Numbers are hard enough to see. I can’t even see the logo on my Cheerson CX-10 from 10 feet. If there is a crash, do you really think you are going to find the small piece of plastic that had the “sharpie-drawn” N-number on it, the mailbox number stickers, or the serial barcode sticker under the gimbal? The only counter to this is taglets mixed in the plastic matched up with laser etched numbers on the critical parts that would most likely survive a crash (motors, etc.). Simple registration is useless unless this is a comprehensive manufacturer backed plan. What happens if DJI requires registration but Yuneec does not? I’m not ruling out the registration idea but geofencing would have better results. An individual took the time to respond to the above post and I include some of his post and my response to follow. His responses are in italics and mine are bold and underlined. The Number issue isn’t a red herring. 14 C.F.R. 47.15(b) says, “(b) A U.S. registration number may not exceed five symbols in addition to the prefix letter “N”. These symbols may be all numbers (N10000), one to four numbers and one suffix letter (N 1000A), or one to three numbers and two suffix letters (N 100AB). The letters “I” and “O” may not be used. The first zero in a number must always be preceded by at least one of the numbers 1 through 9.” Section 336 of the FMRA effectively locked the FAA into this regulation because the FAA can’t promulgate further drone regulations. The maximum amount is 1,156,000. How are they going to change or add anything without violating the FMRA? “Manned aircraft are also grounded, scrapped, sold to others, modified, and rebuilt/restored constantly. So too are new aircraft joining the fleet constantly. There are mechanisms for keeping track (and certifying) of all these. The FAA maintains a database of every registered aircraft in the country (which is also publicly searchable). People who do stupid things and crimes don’t often report. This is the group the registration is AIMED at. Furthermore, this doesn’t prevent accidents. It only tells these agencies who to maybe look for if they can even identify anything. Geofencing would prevent the problems from happening in the first place. The chances of getting caught as a manned aircraft pilot are way higher than that of drone operator. You only have so many airports to land at. On top of that, your transponder and ground based radar track your flying. Drones don’t have transponders, they are almost impossible to track via radar and the operator can simply just run away. “While analogies are admittedly never perfect, consider briefly this one. We have extensive rules, regulations, and laws in place throughout the U.S. specifying how motor vehicles can be driven on our public roads and highways. We require a level of training, followed by formal licensing of all our drivers, and we are all required to abide by seemingly countless traffic laws and regulations (speed limits, traffic controls, lane usage, parking restrictions, directions we can drive, off-limits areas, DUI and texting laws, etc.). We also have numerous law enforcement entities empowered to control, restrict, prevent, and arrest us for our failure to abide by these rules. We accept all this as necessary to keep the best degree of order and safety we collectively can on our nation’s roads and highways. Even so, there are still far too many accidents, injuries, and deaths (generally a result of people not abiding by the laws) — but far fewer than if we didn’t have these rules in place. Now try to imagine that we suddenly had an onslaught of hundreds of thousands of new unmanned remote control vehicles entering our public roadways, operated by individuals who’ve never driven a car or never earned a driver’s license themselves — many of whom don’t even care who else is out there or what other vehicles on the road might be doing. They just want to have fun with their new “toy.” It would be a safety disaster. Now, imagine that all these same remote controlled vehicles have the size and mass to cause total destruction of any vehicle they even slightly bumped into, resulting in death or injury. This is not a good analogy. A better one would be 1,000 or 100,000 of remote controlled Hotwheel like toy cars or small racing cars operating in the grassy area on the side of the road. Occasionally one comes out of the grass and jumps into the road where the cars are. There is a potential that some of the motocycles could be involved in a serious wreck. I do acknowledge that larger drones do present a safety hazard to helicopters, agricultural planes, and small airplanes; however, how in the world is registration going to help with that? Geofencing could somewhat mitigate this problem. (Preventing the rc cars from getting in the road). The NTSB would comb the wreck and have to find some crash survivable parts and to at least identify the first person who bought the drone. Then they would go try and track the chain of tittle down. If they somehow find the last owner, how is a prosecutor going to overcome the “I sold the drone” or “my drone was stolen” argument? A Plaintiff’s attorney might be able to overcome it but an attorney isn’t going to be suing some poor college student. It isn’t worth his time. “It’s this approach that we as UAV or drone operators need to be taking. It doesn’t help any of us to think that we should be outside the law, or that all the rules, training and certification requirements, or even the rules for how all aircraft need to coexist in the air with each other, shouldn’t apply to us somehow. Agreed. I’m very against the rogue drone operator mindset. I think that many recreational flyers should educate themselves on how to fly safely. I just think geofencing is way more effective than registration. See 5 U.S.C. § 553(b)(3)(B). The FAA explains that it issues direct final rules in two situations, but I’m using the APA’s three good cause exceptions which are compatible with the FAA two sections. See 14 C.F.R. § 11.29(a)-(b). See 14 C.F.R. § 11.31(a).